Using the latest technologies provides a base to ensure high search engine ranking and allows our products to run fast and effectively for our clients. The designs display identically on both PC and Macintosh platforms in all browsers including Firefox (MAC/PC), IE (MAC/PC), Netscape (MAC/PC), Opera (MAC/PC) and Safari (MAC). 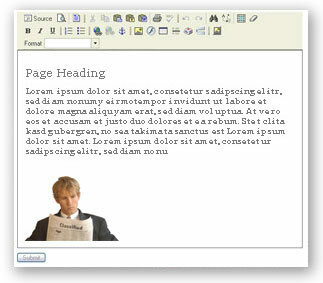 Our designs feature liquid layout compatibility for increasing or decreasing page content. The design shapes itself based on the amount of content that is needed for each page. The spacing and consistency remains and is entirely flexible. We also provide static page sites for customers who desire a limited amount of vertical page scrolling. We design the visual layout using Adobe Illustrator CS2 for vector clarity and provide rich professional photography. For examples of our work please visit the Work section. CONTENT MANAGEMENT - Managing daily content and media updates is not only an essential business practice it is also the secret to acquiring and maintaining high search engine rankings. We have developed several content management systems (CMS) that provide the ability to upload content and all types of media including pictures, video and working files. 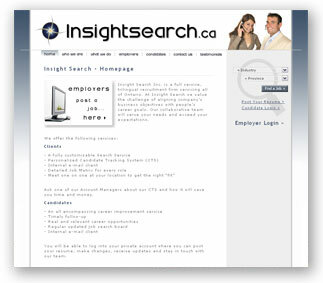 The interfaces are accessible through a secure online portal and simple to use. This allows our customers to maintain their site without additional costs and time constraints. It also ensures that the design and structure of the site remains unchanged for a consistent flow of information and media. This kind of consistency is essential when developing long-term customer relationships and is the foundation for cultivating a successful e-marketing campaign. E-COMMERCE | INVENTORY INTEGRATION - A very powerful aspect of our business is the ability to both create an online sales interface as well as intersecting directly to customer inventory software. Simply put, this enables a consumer to purchase the item online and once purchased the inventory configuration on the sellers end is automatically updated. 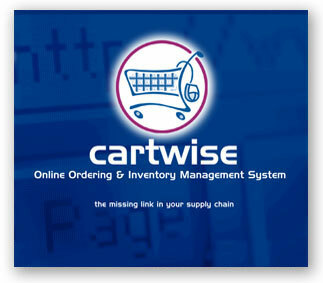 Cartwise Online Ordering and Inventory Management System was designed and implemented by our very own Mark Guertin as a custom ordering and management solution initially for Great Brands of Europe (Evian, Danone) and later was expanded to also provide services for Coca-Cola internationally. This system was used to order and manage inventory for all Point of Purchase promotional material worldwide and fully integrated (EDI) with several international warehouses and fulfillment systems.